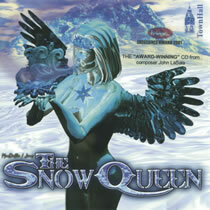 The Snow Queen is an eclectic, yet cohesive blend of sounds and styles, mixing acoustic instruments and voices with electronically generated textures and soundscapes, written by new-music composer, John LaSala. The music was originally commissioned to accompany the Off-Off Broadway modern dance-theater piece of the same name. Doug DeVita from Off-Off Broadway Review comments, "LaSala's vibrant, eclectic score is always sensitive to the icy hot moods of the story, not afraid to sacrifice melody for dramatic thrust. It is also ravishing; a witty and lush marriage of romance and minimalism."